Desolat co-founder Loco Dice today announced he will be touring the US in December, in conjunction with the release of the third annual Desolat Christmas Sampler, out on Desolat Dec 12, 2011. Loco Dice will kick off his tour in Detroit on December 1 and conclude in Los Angeles on December 17. Founded by Martin Buttrich and Loco Dice in 2007, Desolat has been on a tear over the last 12 months, championing its own signature style of house and techno across three highly praised album releases from Guti (‘Patio de Juegos’), Pulshar (‘Inside’) and last month’s ‘Tessa’ by tINI. Desolat has built its reputation on the strength of its musical output, championing talents like Livio & Roby, Patrick Specke and Alli Borem, while also providing a home to iconic names like Moritz von Oswald, Luciano, Marcel Dettmann and Dubfire. 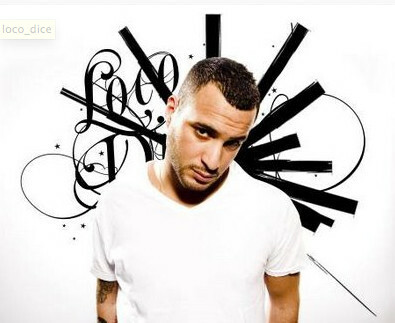 Loco Dice is an exceptionally rare and individual talent in dance music. Equally at home holding crowds at highly coveted, underground and bleeding-edge intimate clubs as he is smashing festival stages across the world, he is a DJ who retains a sense of the delicate, while always delivering to the dancefloor. His studio partnership with Martin Buttrich began in 2002 and blossomed into the opening of Desolat together in 2007. Dice’s studio production work has included his exceptional LP ‘7 Dunham Place’ in addition to releases on Desolat, his tracks have also graced some of the world’s top labels including Cadenza, M_Nus, Cocoon, Ovum and Planet E.
Born in Germany to Tunisian parents, a child who penned Hollywood scripts in his head, while playing soccer, Dice has always been able to merge and absorb different perspectives. It’s a skill that served him well as he moved out of his early stomping ground of hip-hop to house and techno. It’s also one of the qualities that sets him apart as a DJ, an innate sense of who people are, and what they want to feel. Desolat’s third edition of its Christmas sampler is a bumper tribute to a year of fine music. The label has assembled some stellar talents for this compilation, from label co-owner Martin Buttrich, who teams up with David Squillace on a power session of polished grooves; to the promising pairing of up & coming London DJ and producer Hector with F-Communications’ Alexkid on a slice of finely observed and bittersweet house. Rising talent Anthea, also makes an appearance: offering soul-drenched vocal shards on a heart-breaking house tune by versatile Argentinean Guti, replete with addictive bassline. Reboot steps up with the sprawling and catchy 14 minute analogue jam that’s sure to slay dancefloors - and not only over the silly season. Two tracks are aimed especially at those who like to throw shapes: straight outta NYC, following remarkable releases and remixes on Shelter’s Restricted and Un-Restricted Access, Yoruba or Simple Sound, Filsonik comes good on a shimmying jam with shades of Chicago house; while Funk E steps out of the shadows with an effervescent cut that plays with hip house and electro atmospheres. Meanwhile Danny Ocean returns after “Lights In My Dark World” with a thoroughly contemporary and elegant take on some of those sounds that made up the heyday of 90S techno.